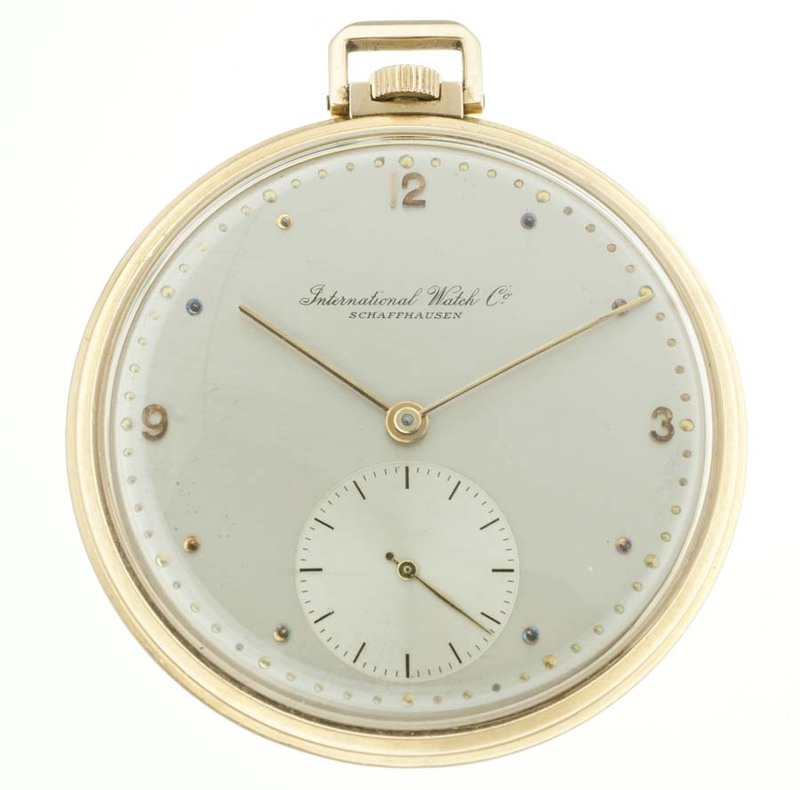 Vintage International Watch Company IWC Schaffhausen pocket watch in solid 18 karat gold with ultra thin calibre 95 movement. All original International Watch Company Schaffhausen IWC pocket watch in solid gold dating to 1945. The dial is in excellent condition. 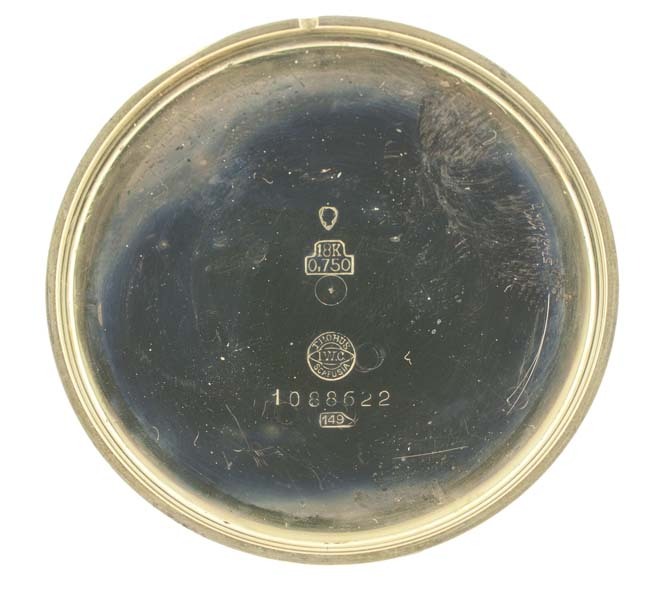 It is not marked Swiss at the bottom but even with a 10x loupe I cannot confirm based on an inspection. As such treat as an older restoration. 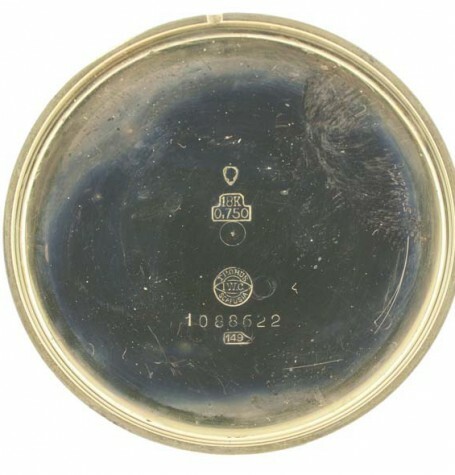 Arabic numerals mark the 12, 3, 6 and 9 o’clock positions with round domed markers at the other hour markers. The watch uses long stick hands for the hour and minute indicators. 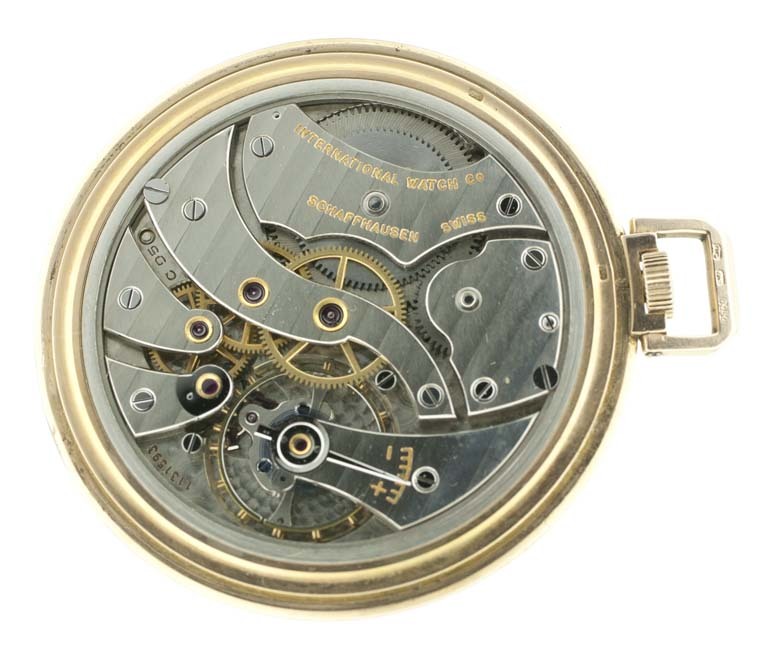 There is also a large sub-seconds register in the bottom half of the dial. 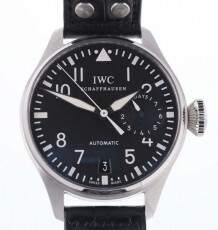 The watch is fitted with an exquisite manual wind IWC calibre 95 movement that was recently serviced. The watch winds beautifully. 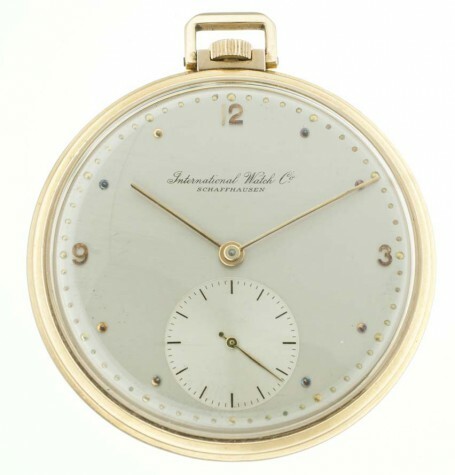 In looking around the web I found this conversation about the IWC cal 95. 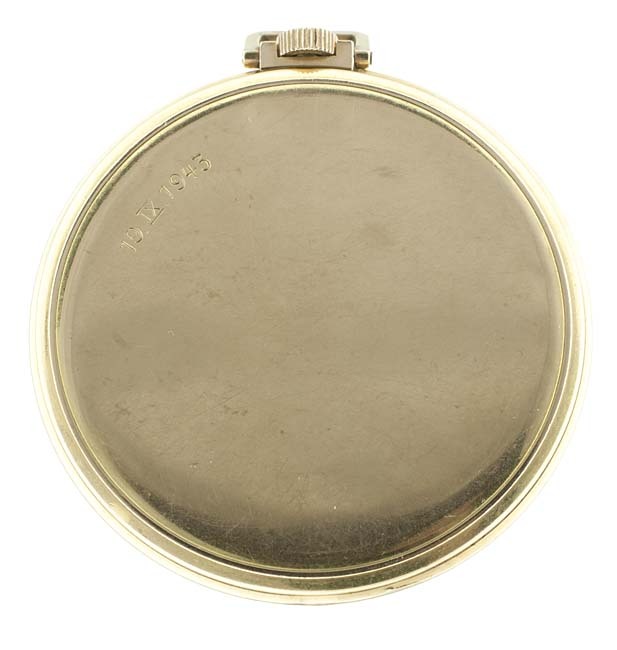 The 18 karat gold case is stepped on both the front and back. 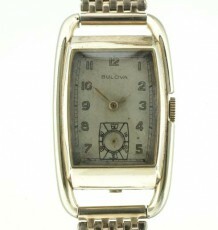 It is a very thin watch and has an unusual Art Deco style squared winding bow. 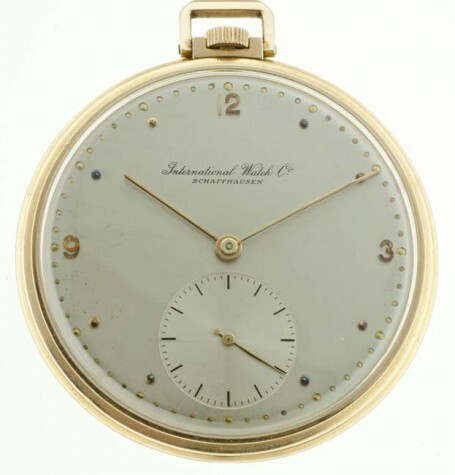 The inside of the case is properly signed International Watch Company and also shows it is made from 18K gold. 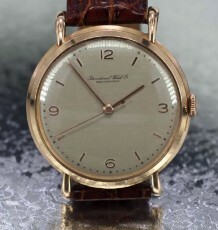 The watch measures 47 mm wide excluding the winding crown and squared bow. The gold case is only 4.5 mm thin plus the height of the crystal. 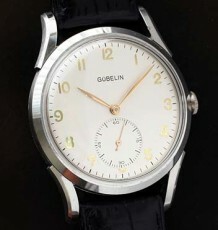 Overall an exceptionally thin watch. 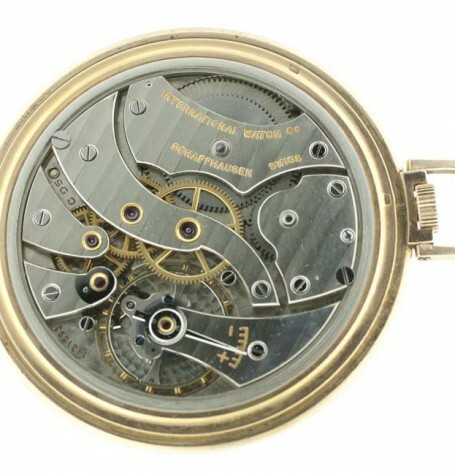 There is not a fob chain for this watch as it was so thin it easily slips into almost all pockets.